Nancy Shaw wrote back a remarkable letter from Sunnybank in Queensland. Eight large sheets long, and correctly identifying me as her third cousin, twice removed, she made the obvious point. The letters Laura Greenwell had written to my grandfather in the 1940s had been, in one respect, completely wrong. Laura had remembered Nancy's grandmother Dora, and Dora's father George, coming to say goodbye to Robert, Laura's grandmother. But she had remembered them as being about to set sail for America . Wrong continent. George and Dora (who was by that time married to a Thomas Shaw from Birmingham) had come to Australia, which was where every last one of Dora's descendants still lived. And, as it turned out, Laura was quite wrong about something else, too. George Greenwell, Robert's brother, had not travelled to Australia with his daughter Dora. She had gone ahead of him by at least five years. George had travelled out with another daughter, Mary-Jane, known (like her aunt) as “Polly”. So Laura was wrong on two counts, and if wrong on two counts, why not wrong on three or more? My grandfather had set great store by the information in her letters, and yet some of it was duff. I had in fact discovered another, entirely pardonable blunder, in her letters. Robert Greenwell's wife Ann Henderson, she had said, was related to a John Cousins who had invented a reaping-machine, but never received the credit for it. I looked up Cousins in a biographical dictionary. No such person named, but on the opposite page was a John Common, who had invented a reaping-machine but been done out of his due recognition. Common was a name I knew. The earliest person named on the family sheet tucked into the bible Percy Raine had given my grandfather - was Mary Common, about whom I knew only that she had been Ann Henderson's maternal grandmother, and that, having died in 1784 at the age of 83, she was most probably born in 1701. John Cousins, John Common. No, no - what Laura meant was that John Common was one of her grandmother's cousins . I now took an extra pinch of salt with the story about the elder George Greenwell having come from Wolsingham. Just think: my grandfather had bought a house near Wolsingham on the sentimental strength of the word of an aunt who, chirpy and kind though she evidently was, except when it came to Sir Stafford Cripps (“spend your money, George, or they'll have it from you!”), was often wrong. What, then, did I know about my great-great-great-grandfather's brother George? Very little indeed. I knew his date of birth (1816), and I knew that he had married a Jane Redman in 1837 - this was one of the marriage certificates my grandfather had collected, and had been obsessed with, because the father, the missing George Greenwell, had been shown as a shoemaker, but the word “deceased” had been missing (leading to the presumption that he had been alive). At the time of his marriage, he had been a dyer by trade. He had written a book of poems full of classical allusions, which Laura Greenwell hadn't liked the look of. He had had a daughter called Dora, named after the nineteenth-century poetess and hymn-writer. He had gone at some point in Laura's memory to say goodbye to his brother, before going to “America, together with Dora”. Finally, I also knew that he had been in Nottingham in 1852, when his mother Mary had died, since he had been the informant, and had given a Nottingham address. Nothing else. And a fair proportion of this information was unsound. Now, however, I discovered a fair bit more. The first discovery was that George the dyer had had four daughters - not just Dora and Mary-Jane, but an Elizabeth and an Ellen. I knew this because George's death certificate, which Nancy sent, happened to require the informant to name the children of the person who had died. Both Elizabeth and Ellen were listed as “deceased”. In Nancy's opinion, this pointed to infant deaths - quite likely. His brother Robert had had two children die in infancy - had had ten children in all. I also now discovered that George Greenwell had married for a second time - to an Elizabeth Walker, who had survived him. He had died in the mining town, Ballarat, in Victoria, about five or six years after coming to Australia (the first three years he had spent in Adelaide). Nancy had done a little tinkering with genealogy herself, after retiring as a college principal in the 1970s. But she had given up on the Greenwells, having got nowhere with her researches (her father, it transpired, had been called Percy Thomas Greenwell Shaw - another case of a surname hanging on in there as a forename). However, she did supply an entire tree of Dora's descendants. This meant that, were I to find out what became of Mary Jane, Dora's sister, I would have traced the entire descent from the original George Greenwell and Mary Wilson, who had married in 1811. It was partly the challenge, I suppose. I was going to be hamstrung by the fact that Mary Jane's descendants were presumably in Australia, too. On the other hand, there was the family-tree surgeon Rosalie in Perth, who was not only ravenous for all information, but incredibly generous with it, too. She had helped me trace details about the Knight family. She was on the Mary Jane case before you could flitter an eyelid. However, what really spurred me on was the arrival of some photographs from Nancy in a second letter. These included a photograph of George Greenwell himself, at which point something obvious hit me. The picture - a drawing - which had hung by the front door of our house, which was dated 1846, and on which my grandfather had written that it was George Greenwell the father of Robert, was actually a picture of George Greenwell, the brother of Robert. It was screamingly obvious to me that George Greenwell the elder had not survived until 1846, and in any case, the figure in the picture could not have been over 40. There was no record anywhere of his death, as my grandfather had proved to himself over and over. The absence of the word “deceased” did not mean “alive”. I had already found a couple of other certificates that named fathers no longer alive. And the marriage certificates my grandfather had been looking at were from the very early days of registration. Indeed, George Greenwell and Jane Redman had married within six months of the law coming into force. Having the photograph - and photographs of Dora, her husband Thomas Shaw, their three children, and Dora's three grandchildren via Percy (Nancy, Harvey, and Bob) - tickled up a desire to see more. Dora and Thomas Shaw on their golden wedding anniversary in 1923. L-R behind them, their three children Florence (“Floss”), Percy and Catharine (“Kit”). Only Percy had children. Nancy Shaw is Percy's daughter, one of three children. Perhaps I could trace a picture of Mary Jane. I had pictures of six of Dora's cousins by now. The wall of my flat had become a gallery. A small library of letters and documents had begun to fill up my files. Nancy also sent me a photocopy of part of a book George Greenwell had written, and some details about him. Apparently he had been a tall man. He had been an evangelist - indeed, that was how, in his sixties, he had been employed in Australia. The book he had written was a critical study of Ernest Renan's Life of Jesus . Renan's work first appeared in 1863, and sixty thousand copies of it were sold in the first six months. George Greenwell's response was published in 1864, a thoughtful and instant rebuttal, which incidentally showed me that he was not only quick off the mark, but also a linguist, and well-read (he refers casually to “most French writers on moral subjects”). The Life Of Jesus was something of a shocking book in its time, coming as it did from a man whose principal aim in life had been to become a priest. Born only a few years after George Greenwell, he was a Breton whose emphasis on the humanity of Jesus made him few friends in the Catholic Church. He presented Christ as a man, not as a deity, and wrote in a clear, lucid and sometimes sentimental way that guaranteed a wide audience. He describes the gospels as essentially “legendary biographies”. Perhaps the most revealing episode in his work - what perhaps might be called “faction” now - is his suggestion that the raising of Lazarus from the dead was a put-up job assisted by Martha and Mary. Renan also suggests that the resurrection was a hallucination experienced by Mary Magdalene. church, so called, ... merely an accumulation of Pagan pomps and lying oracles, producing that kind of profligacy mixed with slavish fear which is to be expected where the imagination and the senses have been debauched, the conscience misdirected, and the understanding never enlightened. [Now he is off. He puts the boot into Popery: ] In that superstitious gloom there is frequently a show of devotion which is compatible with the worst vices which corrupt and fester in humanity. on the battlefield, the shock of murderous conflict is fierce, and the crimson pools are as hideous as ever....We have tyrannic thrones in whose black shadows no freedom can grow, and red altars of superstition where no holiness can flourish, and dens of debauchery where natural virtues are stifled.....the gulf every day grows wider between the millionaires, who are gods to themselves, and the masses who cannot find God amid the damps and agonies of squalor and famine. He goes on at this stage to paint a pre-apocalyptic vision of the world. George is not really dealing with Renan. This is a piece of withering rhetoric, a (slightly florid) assault on social injustice. This was the first time I had discovered a piece of impassioned political feeling (I do not think we can count my grandfather's suggestion that a public school education for everyone in Hartlepool would be a good thing). And this was all so different from the experience I'd had of the family of his mild, pear-drop-scoffing brother Robert. My side (as it were) was chock-full of quiet piety, or entrepeneurial derring-do. There was no sign of this kind of rage. Well, there was just the one other daughter (Mary Jane) to research. I returned to the battlefield of births, marriages and deaths. Mary Jane proved a more popular birth name than I'd expected, so I headed for the Marriages first. I found a promising marriage between a Mary Jane Greenwell and a Richard Hindley, and sent for the certificate. It was the right one all right. Mary Jane had married a grocer called Richard Hindley on October 19th, 1869, both of them giving their address as 61 Alt Street, West Derby, Liverpool. George Greenwell, her father, is described as a Baptist Minister. But I wasn't looking at any of this, really. I was looking at the names of the witnesses instead. One was self-evidently Richard Hindley's brother, William Currie Hindley. The other one was Ellen Greenwell. Ellen! So Ellen was not an infant death. She had to be twenty-one, whatever the case, because Dora had been the youngest, and Dora had been born in 1849. And of course the immediate thought was - if Ellen had survived to the age of twenty-one, why not Elizabeth, too, the other sister cited on George's death certificate as “deceased”? Could they have married? Might there be more descendants? What became of the two other sisters? This was a turning-point in my research, in which I was now totally on my own. To find the descendants of Robert Wilson Greenwell, I had had a fair amount of unwitting wind assistance from my grandfather. Wrong-headed his ambitions may have been, but he had acquired a fair number of letters and documents and names on the way. Here now was a new prospect - a family about which not only did I know nothing, but about which Dora's family knew nothing, too. But first of all, I had to find out whether or not Ellen had married. Here she was in 1869, unmarried. Her father had left for Australia without her in 1880 or so, and five years later, the informant on the death certificate knew enough to say that Ellen was dead. This suggested to me that she had died before George went to Australia - only twelve years to search, in that case, a maximum of forty-eight ledgers to racket and bang on to the hard-worn surfaces. Simple choice. Should I start at 1881 and work backwards, or 1870 and move forwards? Oh, 1870, then. First ledger, first quarter of 1870. An Ellen Greenwell married a George Carruthers in Carlisle. I methodically went through the others: no Ellen Greenwell marriages in my time-frame apart from that one. Once again, it was a case of go home, sit tight, and wait for the OPCS envelope to tumble through the door. I didn't like the look of Carlisle much. Right side of the Pennines, right end of the country, but not Liverpool. The flap of the letter-box gave a satisfying clack a few days later. Yes. Ellen Greenwell (a dressmaker), the daughter of George Greenwell, Christian minister, had married George Carruthers, a grocer and son of a blacksmith, from 3 Grey Street, Carlisle on March 12th 1870. I looked straight at the witnesses, and the faint spidery writing. One of them was called Elizabeth. The other was called George. They both had the same surname, which I read as Collier, so it was probable they were man and wife. Surely, then Elizabeth was Elizabeth Greenwell? Surely this was the eldest of the four sisters? There was only one way to find out - and to discover what had become of Ellen - and that was to ricochet back to London double-pronto. There was a pre-Christmas melée (unsurprisingly, the OPCS closes over Christmas, although the certificate shoppers would plainly have been happy bedding down there). I was in a thicket of ancestor-hunters, barging and squeezing and bruising. The numbers certainly seemed to have increased since I had paid my first visit. It was roasting hot, too, but by now I was starting to feel like an old hand, a connoisseur, a commissioned officer looking with an amused but leprous eye at the chuntering foot-soldiers. They sucked their teeth. They scribbled little notes. They bickered. “Well, Dad always said that he'd had another sister called Elsie, but I've never heard of this one.” I glided confidently over to the 1860s and the marriage registers. I was going to find Elizabeth Collier née Greenwell. She couldn't have been born until after 1837, when George Greenwell married Jane Redman. She must have been born before 1848, when Ellen had been born, and indeed before 1847, when Mary Jane was born. That meant that she would have been 21 - I was guessing she wouldn't have married earlier - in 1858 at the earliest, and 1867 at the latest. Start at 1860, say, and work through the marriages, looking for a George Collier. It would have been more systematic to have looked for Greenwell and Collier, but my motor was purring smoothly. Oh dear. No George Colliers at all with Elizabeth Greenwells in tow. I stood with the ledger from the second quarter of 1865 in front of me, and idly turned the page onward, feeling quite deflated. Demoted back to the ranks of the argumentative squaddies. At which point, serendipity popped its cherubic head into the action. What was this? A George Collin had married an Elizabeth Greenwell. Collin. Collin. The writing on the certificate could indeed have said Collin. It was very faint. I went back to the locker where I had stashed my stuff and dug it out. Of course it said Collin. It was another lesson to learn - always read every possibility into every document you get hold of. I filled in a form, and retreated to Deaths, where a very large lady was sucking her teeth as if they were outsize Nuttall's Mintoes. “1870!” she was complaining. “Why couldn't she have died young like all the rest of them!” I looked for Ellen Greenwell's death - or rather, of course, Ellen Carruthers' death. It was easy to find. She had died in the first quarter of 1880, in Carlisle. How this had happened would only transpire when the certificates arrived. There was an Elizabeth Collin who had died in 1872. This also looked pretty probable. By now I was savvy enough to realise that I did not need to wait for confirmation of the marriage and the two deaths to try something else. Between 1865 and 1872, it was possible that Elizabeth Collin had had some children. The same was true for Ellen Carruthers between 1870 and 1880. It was worth looking, at least, to see if I could come up with some candidates. I started with Ellen. I did not have to wait long to hit another minor jackpot. A George Greenwell Carruthers had been born in 1871. Carruthers was looking otherwise like a rather large and daunting proposition. I shifted across to Collin births. 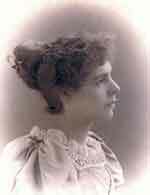 A Jane Redman Collin had been born in 1866. Collin was not such a colossal problem - there weren't many of them. There was a reasonably probable George, and only one of them, in West Derby, in 1868 - this had to be a chance because Elizabeth's father and husband were George - indeed, both Ellen's father and husband and son were George. Their grandfather had been a George. The number of Georges was beginning to multiply at an alarming rate. Still no need to go home. There was no way that George Greenwell Carruthers and Jane Redman Collin weren't correct. I busied myself over to the marriage indexes, leaving a decent interval for the two of them - names only, of course, but invested with spurious personality by me - to get hitched, and even to have children. Sure enough, a George Greenwell Carruthers had married a Sarah Bell McVitie in 1897. And two years later, hello to the world from Wilfred Greenwell Carruthers (1899). I duly gave him twenty years, and looked for some further marriages, but no luck this time. However, one fearful and much-dreaded circumstance now took place. Yes, Jane Redman Collin had got married - to a James Brown in 1892. A sort of knell sounds in the pit of the stomach when you see Brown, James - even if he had the mitigating middle name Wallis. Combing the indexes for Browns was going to be like rummaging in the Indian Ocean for a goldfish. This particular railroad looked like it was going to hit the buffers. I took a few other potshots at prospective marriages and children, and went home to wait for the results to drop through the door. Predictably, my wilder speculations were wide of the mark. And one further surprise - really, I should have given up this kind of surprise - was that Wilfred Greenwell Carruthers was not the son of George Greenwell Carruthers. His father was a Thomas - yes, Thomas - Carruthers, although plainly this was still a relation. What had happened to Elizabeth Collin and Ellen Carruthers in the meantime became plain, and sent me back to London to check the census records for 1871 and 1881, and some trade directories, grocery suddenly having entered the equation. Put together, this is what I now knew. Elizabeth Greenwell had married George Collin, a grocer a year younger than her, in 1865. She had then been 21, which put her birthdate in the surprisingly early 1840/1841 - five years ahead of her three sisters. Perhaps there had been infant deaths between the birth of Elizabeth and Mary Jane. Mary Jane herself - I have to stress how much I was on first-name terms with them now - turned up as the witness at Elizabeth's wedding, which was conducted by a Gilbert Young Tickle. This time George Greenwell's rank or profession was given as “evangelist”. By the time of the birth of their first child, Jane Redman Collin, George Collin is working as a commercial traveller in Liverpool; their second child, George Collin junior, is born at a new address in Liverpool (she has started to give her name to the registrar as Elizabeth Greenwell, interestingly, and she has had to strike it out). When Elizabeth died in 1872, however, she was at 3 Grey Street, Carlisle - which is to say, apparently at Ellen's address. Her father George is described as present at the death. Ellen had had not two but four children, it seemed - this I found from the 1881 census after she had died, by tracing her widower husband George Carruthers. 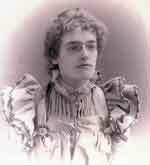 Apart from George Greenwell Carruthers (1871), she had Dora (1873), Thomas (Wilfred's father) (1874), and Ellen (1876). Once again, the families were exchanging names, or using their own. George Carruthers was still a widower in 1891. Both sisters had died of phthisis; both had been only thirty-one years old. The certificates record these tragedies with exquisite calligraphy. Suddenly again, it felt as if I was treading on graves, as if I had no right to involve myself in their untimely deaths. There is nothing quite so depressing as a death certificate, its sombre greys in contrast to the greens (births) and reds (marriages). Somewhere here there was a long-forgotten tragedy, the deaths of two daughters and sisters in very similar conditions. George Greenwell had already struck me as an emotional man, just in his writing about Renan. How terrible to have lost his children like this. Was this what pushed him to Australia with Mary Jane? Was this what sent Dora out? Were the grey climate of the North-West and the miserable funerals the last straws? And what about his grandchildren? What had become of them? George Collin, Elizabeth's wife, had remarried, and had five more children. I made the definite resolution not to start tracking sideways, and to keep searching for descendants - for close cousins, perhaps, of whom Nancy had not known from her grandmother, Dora. Nancy had in the meantime recognised the name Hindley (Mary Jane's married name - it rhymed, as Nancy put it, with “kindly” and not “spindly”). She remembered her two aunts talking about a member of the Hindley family, which Rosalie was already sprinting through in Australia - Mary Jane had had two easy-to-recognise children as well: Arthur Redman Hindley and Richard Greenwell Hindley. The name Carruthers was meanwhile proving a trial. I had transcribed 125 Carruthers marriages between 1918 and 1935 already - and these were just from Carlisle and nearby Cockermouth. Maybe the information would come in handy later. This is a good motto for any family historian. Today's rubbish may be tomorrow's discovery. I had a further shock horror when I had a squint at the Carlisle phone directory. There were hundreds of Carruthers, and I tried a few, with a rather lame line about research. One kind gentleman told me more than I really needed to know about the whole history of the hosts of Carruthers in the North-West. But one of my calls was unexpectedly successful. George Greenwell Carruthers had been a grocer, like his father, and there had been so many shops called Carruthers that he used his forename on his shop-front. “I remember Greenwell Carruthers,” he said. “It's a health food shop, now, run by Hughie Bell.” Back to the directory: there were only two Hugh Bells, and I found myself almost instantly talking to the man who had taken over George Greenwell Carruthers' business. He remembered them all right. In fact, his accounts were still using the name Greenwell Carruthers, forty-five years later. Mrs. Greenwell Carruthers (as he called her) had died in her late nineties in about 1970. They'd had two daughters, and neither of them had married, and both were dead. One of them, he thought, was a Beatrice. But there the trail ended. Since I had by now understood that it wasn't worth believing hearsay, my next best bet was to return to my first stamping-ground - the probate office at Somerset House. It struck me that I could best skip a generation, and look for the will of George Greenwell Carruthers. I made the right choice. George Greenwell Carruthers did not take too long to locate in the Somerset House indexes, and his will, written in 1946, five years before his death in 1951, named his three daughters. Two of the three had married by then, and none of the daughters was called Beatrice. And my boring trawl through the marriages had hit the two targets. The married daughters were called Jean Beddow and Dorothy - wait for it - Greenwell Atkins. And then there was Gwendolyn Elliott Carruthers. I had a foggy recollection of something on one of my lists - yes, I'd called a G.E. Carruthers, and had been turned away after the second sentence by a determined, female voice. Nuisance. I looked to see if there was a Beddow in Carlisle. There was. In fact, the one Beddow was called J.M. Beddow. Was that possible? Only one way to find out. Ring, ring. Jean McVitie Beddow was born in 1901, the eldest of George Greenwell Carruthers' three daughters, and Ellen Greenwell's granddaughter, of course, which was a most curious sensation When she answered the phone, and I went into my by-now familiar cack-handed routine about distant relatives, family research, just a few questions, won't take up much of your time, she was 94 years old. We spoke - she spoke for over 50 minutes, interpolating the phrase “No, I am just not interested in talking to you” at very regular intervals. “And nor will my sisters be interested,” she insisted. She had ferocious verbal energy, and I just scribbled and nudged the monologue along as best I could. Hugh Bell's name helped here. I came from the familiar world, not the world of prying strangers who ring you up and offer you discounts on non-flammable insurance policies and aluminium gazebos and introductory life memberships to charitable organisations. If I had a jigsaw in front of me, she started skilfully placing the pieces in it, sometimes with abandonment, sometimes at random, always with vigour. The best news from my point of view was a confirmation of what I'd hoped - on the basis of Elizabeth having died in Carlisle. This was that the Collin and Carruthers families had remained reasonably close after the Greenwell sisters had died in 1872 and 1880. She knew that George Collin junior (Elizabeth's son) had had four children - three daughters, and a son called, yes, George, who had died young. (We may as well get out of the way that Jean herself had two sons called Frank - and George. The George also rises, I thought). The daughter, Jane Redman Collin, she remembered clearly as “Aunt Jinny”, and she named all four of her children (the dreaded Browns) as well. She added for me that they had all been members of the Church of Christ (I was beginning to understand this connection at about the same time), and that the Browns had run a laundry business that went bust after World War One, at which point they had all moved to Bristol. Looking for Browns in Bristol is just a little better than scouting the length and breadth of the land for them. Just a little. I had also missed something about her widowed grandfather, the grocer George Carruthers. He had married again - nineteen years later, in 1899 - to a much younger woman, by whom he had had a second family of three more children. As to his first family, well, the girls (Dora and Ellen - known as Nelly) had never married. And the brothers, George and Tom Carruthers, had fallen out - they had fallen out over money, which Tom kept asking George to invest in wild schemes in Canada. Tom was plainly the black sheep. His wife Mary had been pregnant before they married, and he had had two children, Winifred (about whom I didn't know) and Wilfred Greenwell Carruthers (about whom I did). Tom had gone gallivanting off to Edmonton, and had dumped his wife and children. Wilfred had gone to Ireland, but look, she was just not interested in talking to me. Her sisters Dorothy and Gwen lived in the next street. I found their addresses, and settled down to compose the most articulate, polite and gentlemanly letter possible, carefully writing up what I knew about their great-grandfather, explaining my motives, touching the keys on the keyboard with tact and decorum, thanking Jean for her time, holding my breath, checking the mirror for traces of anything unscrupulous. I practically went out to buy a new suit to send the three letters off up to Carlisle. George Greenwell Carruthers and his youngest daughter, Gwen, in the 1930s. He built up a grocery business in Carlisle after the collapse of his father's - and later his own business. Dorothy and Gwen wrote back - short and very pleasant letters. Gwen had indeed been the G.E. Carruthers who had resisted my telephone charm, and she apologised most kindly. I had earned my entrance into the family of Ellen Greenwell. I could relax. I spoke to Gwen and Dorothy on the phone - Dorothy was amused that we shared her middle name. She and Gwen were in their late eighties at the time. And they had plenty more to tell me about their lives, and their relations. Over the next six months I phoned occasionally, and then I thought, what the hell - I drove up to Carlisle to meet them. That was a wonderful, sunny day. Gwen greeted me - she had prepared tea for me - and took me through to meet Dorothy and Jean (“I'm the matriarch, you know,” she said). Rather to my surprise, they hadn't been living in adjacent houses in Carlisle all their lives. Dorothy had moved to London, only returning in 1968. Gwen had come back even more recently. They took a delight in identifying themselves respectively as Anglican, agnostic, Methodist. This was the first time one of Robert's descendants had met any of George's descendants since the early 1880s. You want a bit of sensation in family research. They all said that Tom Carruthers had been murdered in Canada, after a disagreement. He'd started out by heading for Alaska, to take part in a goldrush. Periodically, he returned to England, penniless, and clutching maps with dead cert. investment written all over them. Dorothy clearly remembered a huge map being spread across the table, and Tom haggling and wrangling with George, who was trying to make his own way in the grocery trade, and trying to bail Dora out after a millinery business went bust. Their grandfather had been a grocer with several shops, but had over-reached himself after (so they said) his younger wife had muscled in and run up the bills. Dora and Nelly had had to find themselves gainful employment, Dora as a lady's companion, possibly in Eastbourne. 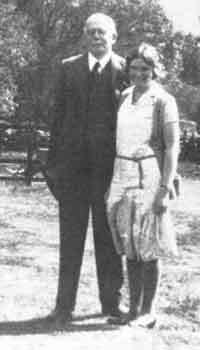 Tom came to a sticky end after winding up in Vancouver as a hotel accountant, having almost entirely lost touch with his son and daughter - although Winifred, who had emigrated to Detroit in Michigan, had made one long last journey to be reconciled with her father. He had subsequently been shot after an argument about money, and there was something about a boat in the story, they couldn't quite recall. His sisters Dora (L) and Nelly (R) also had to start afresh when their father's money ran out (their mother, Ellen Greenwell, had died at 31; her husband George Carruthers had waited two decades before marrying again and starting a new young family . Jean, Dorothy and Gwen provided me with a series of photographs - Dora, George, Nelly and Tom, and Tom's children Winifred and Wilfred. Here was Tom with a horse (he liked to place a bet, and had once wasted some borrowed money on a flutter at a race-track before he arrived). Dora and Nelly were sophistication and style incarnate. Wilfred and Winnie posed in sailor suits. And out of the blue one day came a genuine treasure - a photograph of Ellen which Dorothy discovered she had. That was another genuinely moving moment, as unexpected a surprise as the photograph of Ellen's cousin Margaret Kitts had been (she too had died at the age of 31, only five years after Ellen - a melancholy coincidence). And then Dorothy turned up some old letters, written by Wilfred Greenwell Carruthers to her mother (his aunt), and sent them to me. Wilfred Greenwell Carruthers had written to his aunt in 1958 to tell her that his sister Winifred had died of leukaemia. He was by then in Michigan, involved with the labour movement, very anti-Eisenhower. The letters provided me with an insight into his world - and also provided me with a great deal of extremely tantalising information. After all, while Rosalie was tussling with the Hindleys, and adding increasingly leafy branches to the tree in the shape of Mary Jane's descendants, it looked to me as if I had just two lines left to follow - the Brown/Collin descent, and Tom Carruthers' family. (You will not be surprised to know that I was wrong, but there it is. The first minor detail was that Tom Carruthers had been a twin, but that his sister, another Ellen, had died as an infant - a detail supplied by a member of George Carruthers' second family. There was more in store). Of the children of Ellen Carruthers, two had had no children, one had had three daughters but only Jean had had any children herself - and they were both in their sixties and unmarried. This branch of the Carruthers family had reached the end of the line. You could hardly have asked for more from Wilfred's letters in working out what had happened to him, since they recorded not only Winifred's death - married, no children - but also what had happened to Wilfred's daughters, Dorothy and Kathleen. I knew the surname of Winifred's husband (Smith...) I knew the place and date of her death. I knew the name and date of Dorothy's first child's birth (Terry), and the forename of her husband (Michael). I knew Michael's occupation (a tool designer), and the place in England where Michael's father had been employed as a carpenter in 1959. I knew the name of Dorothy's second child (Kathleen). I knew on what date the elder Kathleen had signed up as a nun in a teaching convent in Chicago. I knew where he had been living in the late 1950s. I knew that his mother, now dead, had been called Cis. It was pretty easy to add to this his social security number, and the date and place of his death (1993, at the age of 94, in Sterling Heights, Michigan). The report of Winifred's funeral suggested that it was a major event. But I could get hold of no obituary from Michigan. The letters I sent to the address on the social security card came back marked “address incomplete”. The nagging omission was the surname of Dorothy's husband. The best bet, I decided, was to see if I could locate Kathleen through her order - the Convent Of Notre Dame. I had reckoned without there being several orders of the same name, even in Chicago, and a protracted correspondence with a number of religious organisations in the USA drew a series of blanks. It was very frustrating. The Browns, even with the additional information, were just as hard. I had seen the names of all George Collin's children, from both marriages, in the 1881 and 1891 censuses. I had backed this up with his will, which added in another name I didn't know - Gilbert Collin. I presumed him to be a late addition to the second family (his name was rather curiously written into the will, almost as an afterthought). I went sideways and found the will of the wife of one of the children from George Collin's second family, since I noticed her last address was near Bristol. This confirmed that Jean's memory was good - her cousins included an Arthur Brown and a Nora Brown, whom I presumed to be the Nora Bishop in the will I found. After a day in Bristol's library, I tracked Nora and her husband Kenneth through the electoral rolls, and eventually found the date of their respective deaths (Bishop is a more helpful name than Brown, but is hardly in short supply). I found the name of their son (Alan), and the address at which they had last lived on the outskirts of Bristol. But here too, I ran into the quicksand. This was becoming a chore. I gave it up, and got on with my life. What I had established, however, was another excellent correspondent in Nancy Shaw, Dora's granddaughter. She explained a great deal about what had happened to Dora and her husband Thomas Shaw in their safe Australian haven. Dora, she reckoned had come out to Australia even before Ellen's death, in 1875. It is impossible to tell whether Laura Greenwell's faulty memory is of George Greenwell taking Mary Jane with him to say goodbye to Robert and his family, or whether she remembers Dora coming to Sunderland to say goodbye with her husband, or whether some kind of conflation has taken place. Laura would only have been seven in 1875, so her faulty memory is pardonable. More likely she recalled George Greenwell coming to say goodbye in 1880, when she was eleven, and recalled Dora's name because it was after all the name of a well-connected and successful Durham poetess. Dora had married a glue manufacturer called Thomas Shaw in Birmingham in 1873, not very long after her eldest sister Elizabeth had died. She had become immediately pregnant, and had a daughter, Dora Louise by the end of the same year. Thomas and Dora took their tiny child with them on the long voyage to Adelaide; but she did not survive the trip. For more than twenty years, they made ends meet, and they had three more children - Kitty, Florence, and finally Percy, Nancy's father, who was born in 1885. At first, Thomas worked as a clerk, but soon bought a smallholding between Adelaide and Port Adelaide, and set himself up as a farmer. He diversified quickly, carrying on a parallel career as a “currier” - a dresser and dyer of fine leather. It was a prosperous business, a luxury trade that catered for the wealthy. It was therefore quick to suffer in the disastrous drought and strike years - the shearers downed tools - of the 1890s. By 1899, the business had crashed, and, at the age of fifty-five, he moved two thousand miles north to work for a meat works at Merinda in northern Queensland. It is probable that Dora and Thomas did not see each other for seven years. Not until Percy was 21 did Dora, a tall woman with dark brown hair, hazel eyes, a round face and a merry expression, take her children on a coastal steamer to see their father again, and to pick up the pieces in the town of Bowen. It may well have been at this point that Mary Jane and Dora lost touch - there are very few records indeed of any contact between the Hindley and Shaw family - just a couple of half-remembered references in either family to the other. Thomas Shaw was obliged to retire at 65 in 1910. At this point, the whole family moved to Brisbane. By now Thomas had a rough-and-ready, outback-patriarchal look about him, and the photographs of the golden wedding Dora and Thomas shared with their three children are studies in satisfaction after what must have been a hard life. Dora educated her children herself, and it would doubtless have broken her heart to discover that her son Percy survived her by only six years - Thomas died in 1929, Dora in 1931, Percy in 1937. Percy was by then an active political organiser - the organising secretary of the Queensland Country Party (later, and more grandly, the Country and Progressive National Party), representing the conservative views of the farmers with a ferocious independence. This independent streak would have pleased his grandfather, George Greenwell, although they would have had a mighty political squabble, since George was a sentimental devotee of Gladstone - and Percy, despite having never set foot in England, set the long-dead Disraeli up on a pedestal.